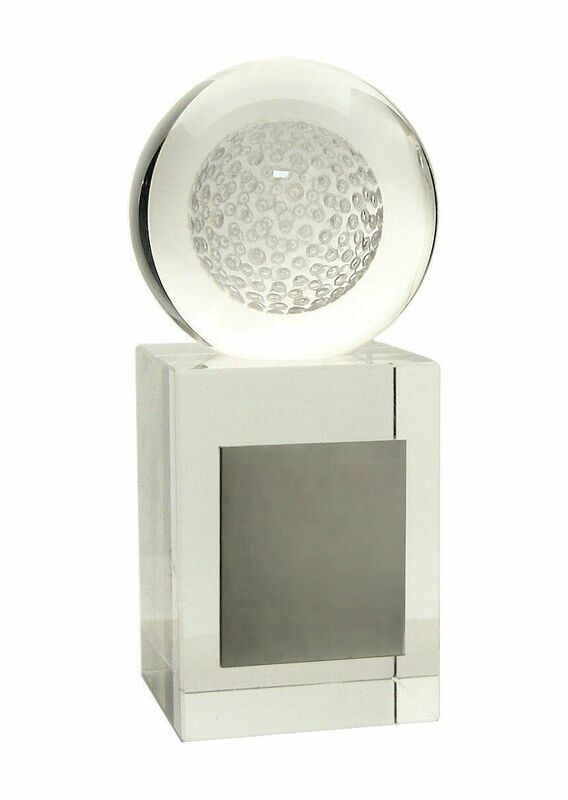 A two-piece clear optic crystal trophy that would make a great award for any golfer. 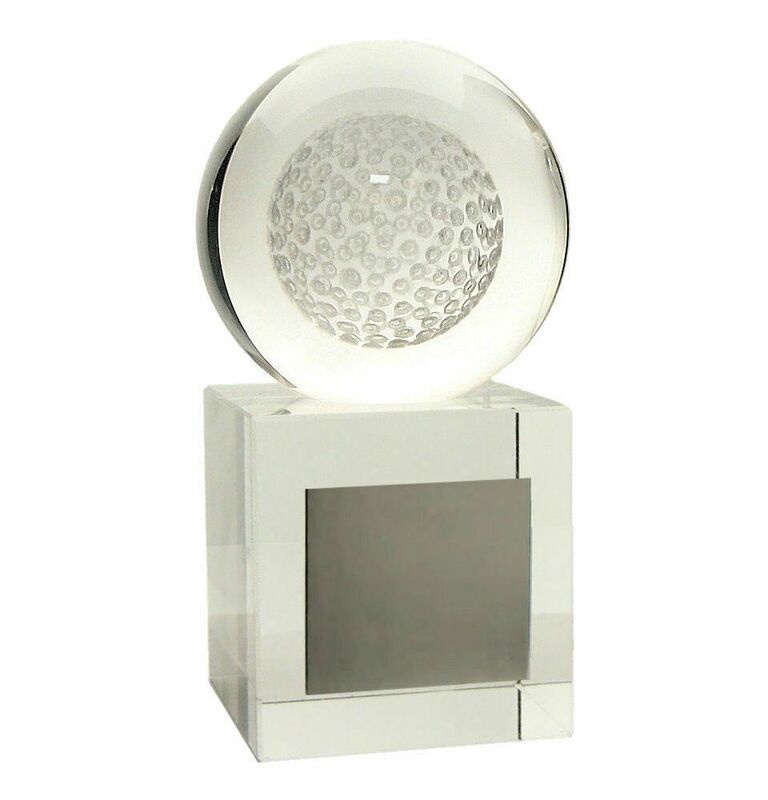 The clear glass ball on this award measures 5cm in diameter and features a laser engraved golf ball design etched within the middle of the glass which gives a fantastic 3D effect. 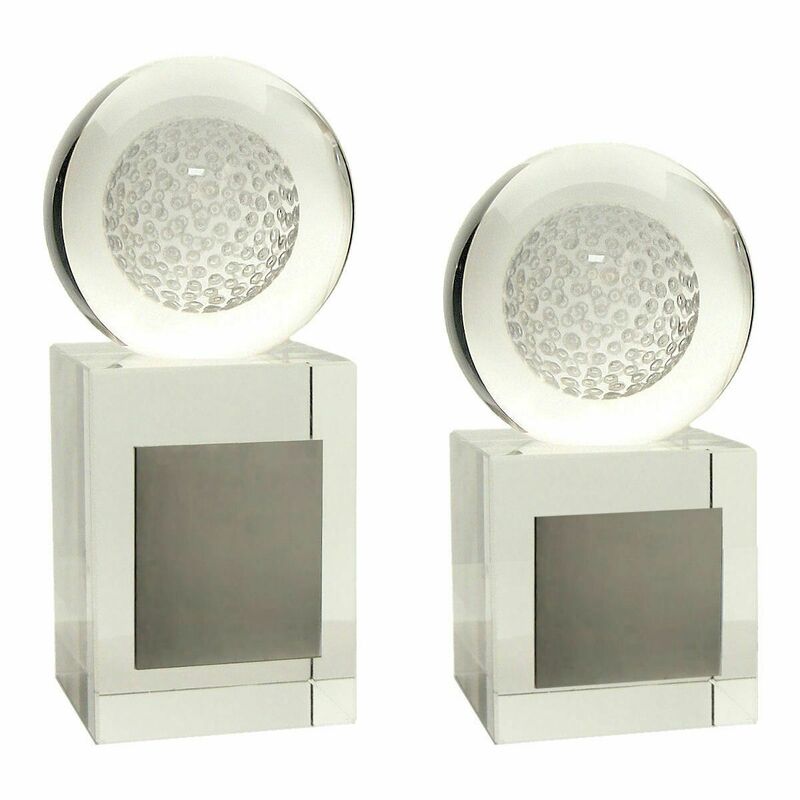 The ball sits within a groove on a matching clear glass base. This trophy is available to purchase in two sizes. Our clear optic award is packaged in a black silk lined box. Medium: 6 lines of 12 characters per line, including spaces. Large: 8 lines of 12 characters per line, including spaces.